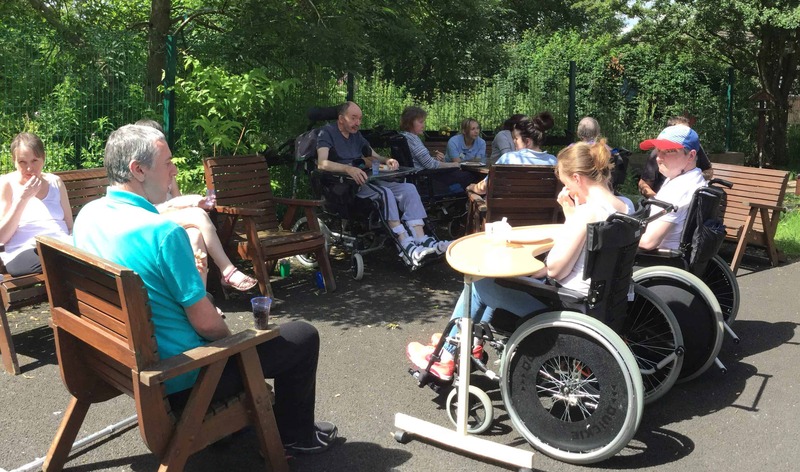 At Murdostoun, the Neurological Care Centre and Rehabilitation Centre joined together to enjoy the sunshine by having a bbq and enjoying some outdoor games. Everyone seemed to have fun and got to enjoy time outside in the lovely outdoor area of the Neurological Care Centre. With the Scottish weather this is not always something that happens regularly but lovely when it does!